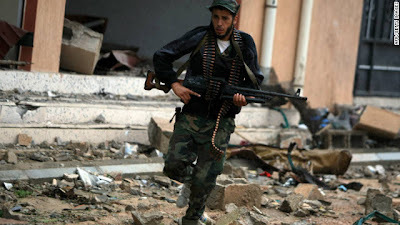 Forces of Libya's new regime were moving in for the kill against Moamer Kadhafi's diehards in his hometown on Wednesday after meeting little resistance and taking several key objectives. A day after seizing Sirte's police headquarters, the National Transitional Council forces were still closing in from the east and west on ever smaller pockets of pro-Kadhafi forces. Hundreds of NTC combatants in dozens of pickups fired rockets from the west of the Mediterranean city whose seizure will enable the NTC to declare the liberation of Libya and clear the way for an election timetable.